leaves. Some species are seaside plants in the wild. All are more or less spiny and in some species a feature is the glistening, metallic bluish sheen that covers the stem, the inflorescence, and the floral bracts. If the stems are cut and allowed to dry slowly they retain their colour and sheen, thus providing useful winter decorations. counties, Argentine. E. alpinum, 2 feet, upper parts tinged blue, summer, Europe. E. amethystinum, up to 2.5 feet, deep blue shiny flower-heads and upper stems, July to September, Europe. E. bourgatii, 1.5-2 feet, leaves marked grey-white, flowers light blue on spreading branches, June to August, Pyrenees. E. bromeliifolium, 3-4 feet, long, slender leaves, flowers pale green to white, July hardy in the south and west, Mexico. E. dichotomum, 1-2 feet, blue, July and August, southern Europe. E. giganteum, up to 4 feet, rounded blue heads, July and August, Caucasus. E. heldreichii, 1-2 feet, bluish, summer, Syria. E. leavenworthii, 3 feet, purple, summer, North America. E. maritimum, sea holly, 1-14 feet, pale blue, summer to autumn, Europe, including Britain. E. x oliverienum, 3-4 feet, teasel-like, metallic blue flowers, July to September, a hybrid. E. pandanifolium, 6-10 feet, narrow, spiny leaves up to 6 feet in length, purple-brown flowers, late summer, Uruguay, hardy in the south and west. E. planum, 2 feet, small, deep blue flowers, July and August, eastern Europe. E. serra, 6 feet, leaves up to 5 feet long, narrow, with spiny teeth, flowers white to pale green, autumn, Brazil. E. spinalba, 1-2 feet, small bluish-white flowers, summer, Europe. E. tripartitum, 2-21 feet, steel blue, with long bracts, summer, possibly a hybrid, origin unknown. E. variifolium, 14-2 feet, leaves white veined, flowers whitish-green, summer, Europe. 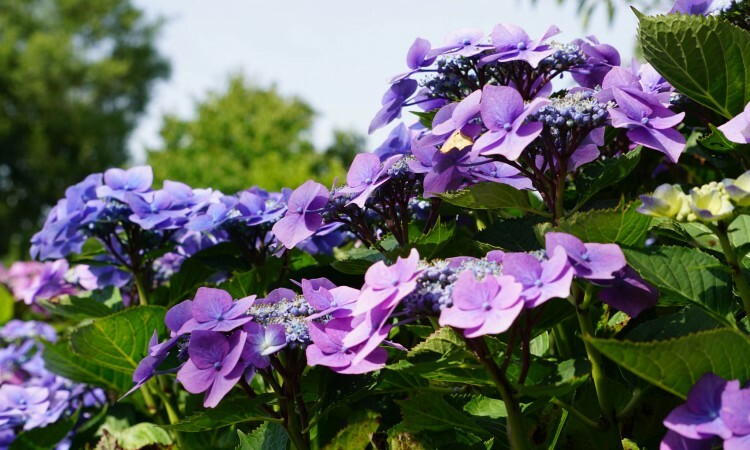 Cultivars include `Blue Dwarf, 2 feet; `Violetta’, 2 feet, violet-blue, both flowering in late summer. Cultivation Plant in the autumn or in the spring, preferably in light sandy soil, although these plants are not particular, so long as the drainage is good. They like a sunny site and dislike cold, wet soil in winter. The thong-like roots require the soil to be deeply-cultivated. Generally speaking, eryngiums from South America are half-hardy or hardy in warmer areas only. They are, however, striking plants where they can be grown. Propagation is by seed sown in boxes and placed in a cold frame in April or May; by division of the plants in October or April, or by root cuttings.